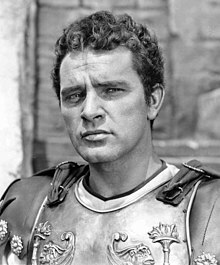 Richard Burton, CBE (/ËˆbÉœËrtÉ™n/; born Richard Walter Jenkins Jr.; 10 November 1925 – 5 August 1984) was a Welsh actor. Noted for his mellifluous baritone voice, Burton established himself as a formidable Shakespearean actor in the 1950s, and he gave a memorable performance of Hamlet in 1964. Burton was nominated for an Academy Award seven times, but never won an Oscar. He was a recipient of BAFTAs, Golden Globes, and Tony Awards for Best Actor. In the mid-1960s, Burton ascended into the ranks of the top box office stars.